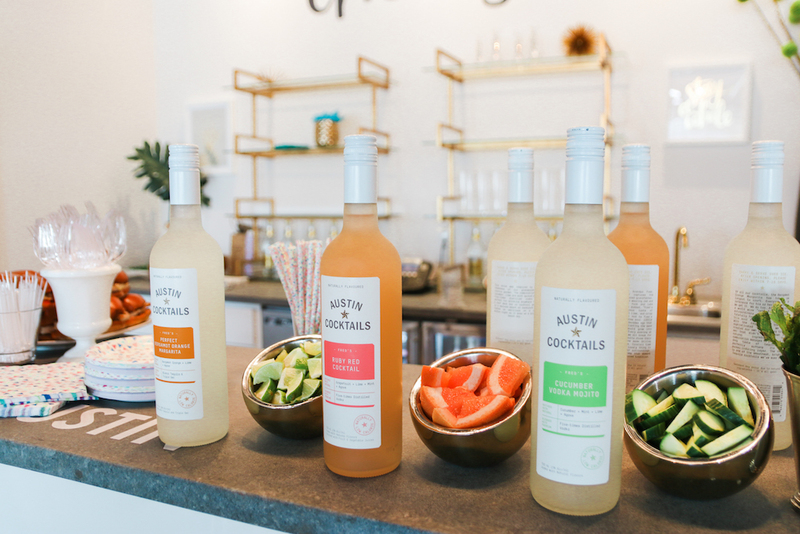 Last week I hosted the 10th ATX Blogger Mixer and Erin Condren's new flagship store at Domain Northside. It's been a year since I hosted my last event which was at SoulCycle, and many people were asking about the next so I decided to go all in. Read on for a look in to how I plan my events and what I'm looking forward to for future mixers. When planning a mixer I first brainstorm speakers and locations. I think about the vibe I want for the event and what I want attendees to experience and come away with. Once I secure the perfect space I choose a date and then reach out the speaker hoping the date works for them. 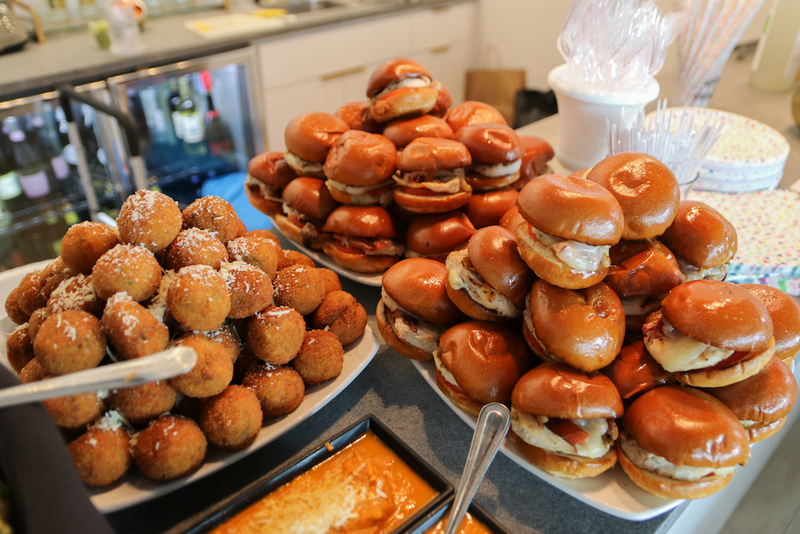 Then I begin pitching sponsors for food, drinks, dessert and giveaways. This is the most time consuming part of throwing the mixer, but it's not too hard thanks to email. It's really just a lot of back and forth. The day before the event I will buy plates, napkins, name tags and any other things we might need. The day of I will load my car with the speaker/mic, serving ware, frames for signage, pick up ice, and sometimes I need to pick up sponsor food/desserts. 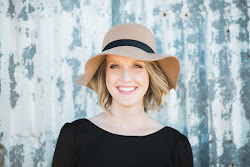 Erin Condren was the perfect location with its colorful and wide open space. They had seating and a bar which is always a plus! 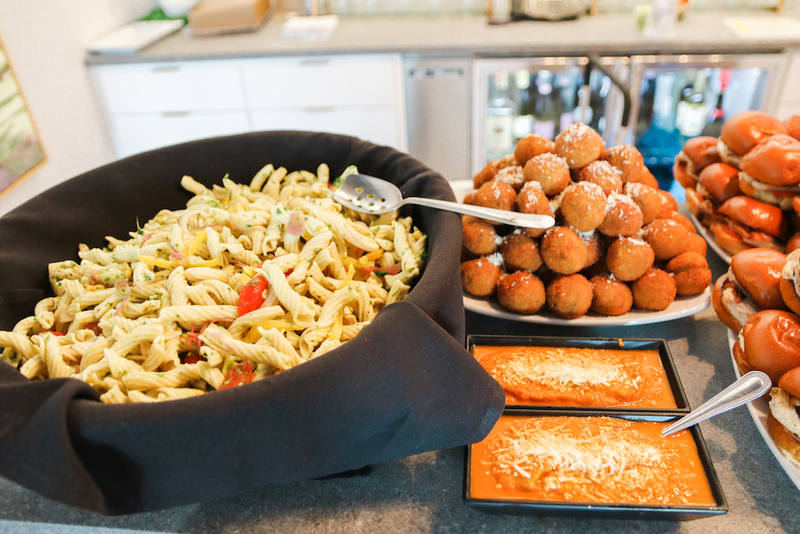 Mia Italian Tapas and Bar provided risotto balls, pasta salad, caprese skewers, and chicken sliders. They were a hit, and everyone left full! Austin Cocktails served three delicious cocktails and will soon be launching a bourbon and gin. Just pour over ice and boom instant cocktail! 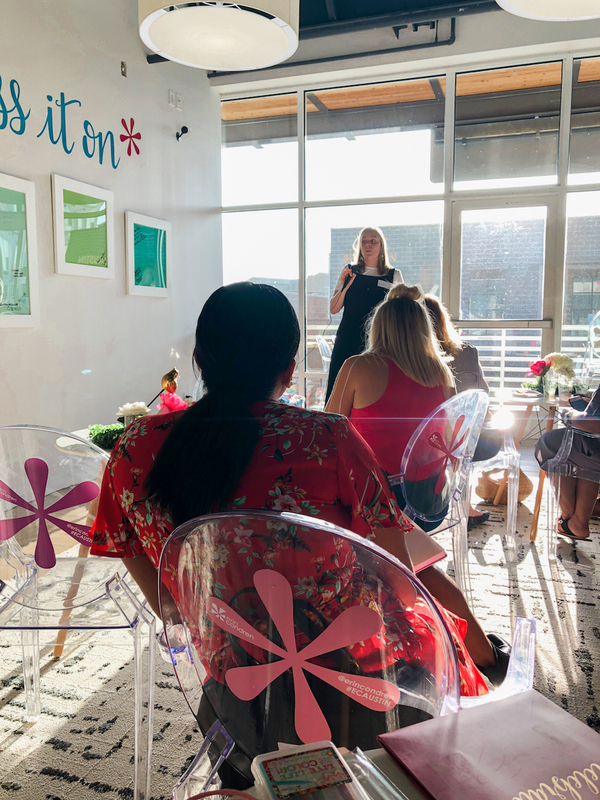 Rebekah Epstein from Fifteen Media was our amazing guest speaker and spoke about pitching your brand to PR firms, which is becoming more and more important for bloggers. Attendees had lots of questions which I love to see! 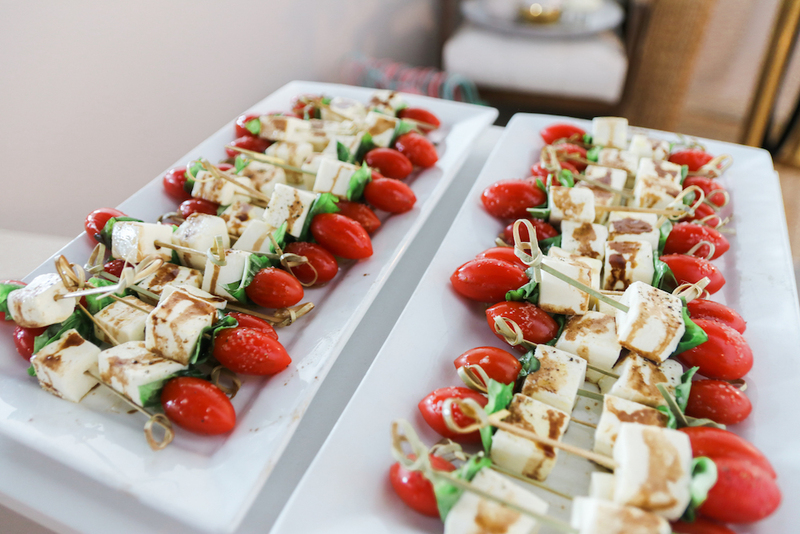 We had giveaways from Viva Day Spa, Wanderlust Yoga and Steel City Pops. All local businesses with locations at Domain Northside! 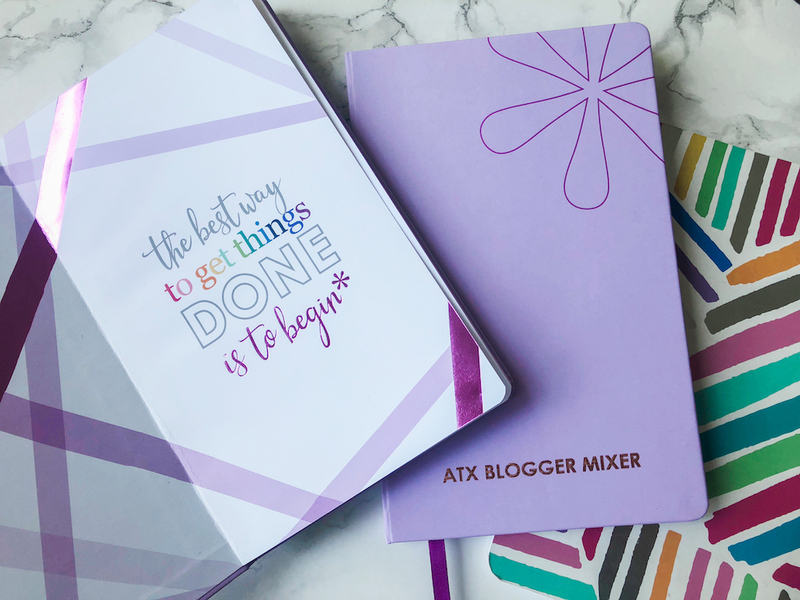 Erin Condren provided custom hardbound notebooks to each guest that had ATX Blogger Mixer written on them....swoon! Thank you to my friends Amy, Vanessa and Alecia for helping me out the day of! I don't get a ton of time to chat with guests while I'm at the event because I'm running around trying to make sure everything is going smoothly, but when I do have an interaction I always leave feeling inspired and excited. 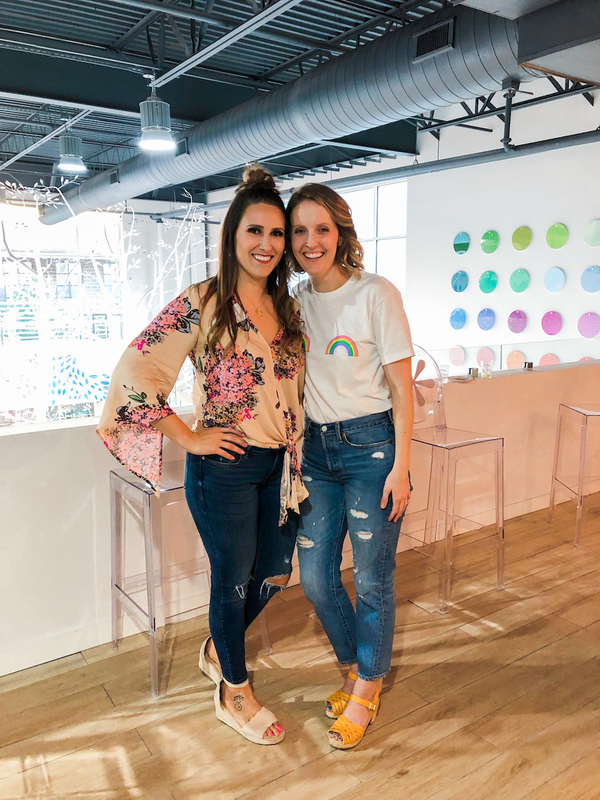 I love meeting bloggers that have been doing it for 10 years and bloggers that are just starting. I think being open to always learning something is important. Just because I've been doing this for a while doesn't mean I can't learn something new from a novice blogger. 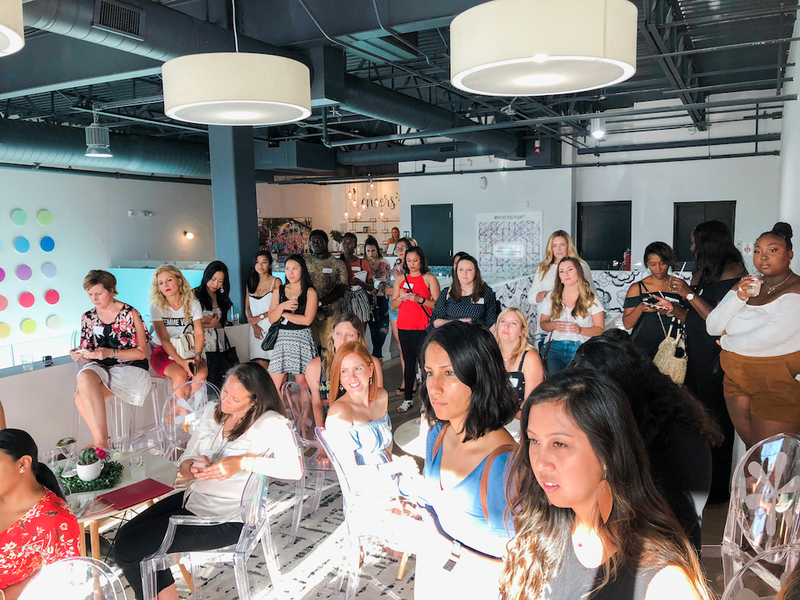 I enjoyed reading Krysti's post about her experience at the mixer and letting go of self doubt. 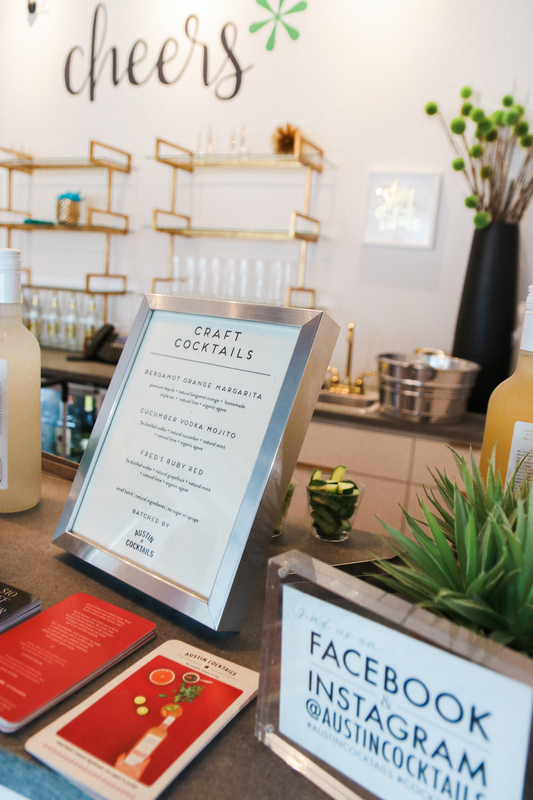 I LOVE being able to create an event where people feel welcomed. It's nothing I do really other than creating a space for people to gather and that's when the magic happens....the people are the magic! When will the next mixer be? Hmmm....lots going on with work and fall is such a busy time so we'll see. Either late fall or possibly early 2019. 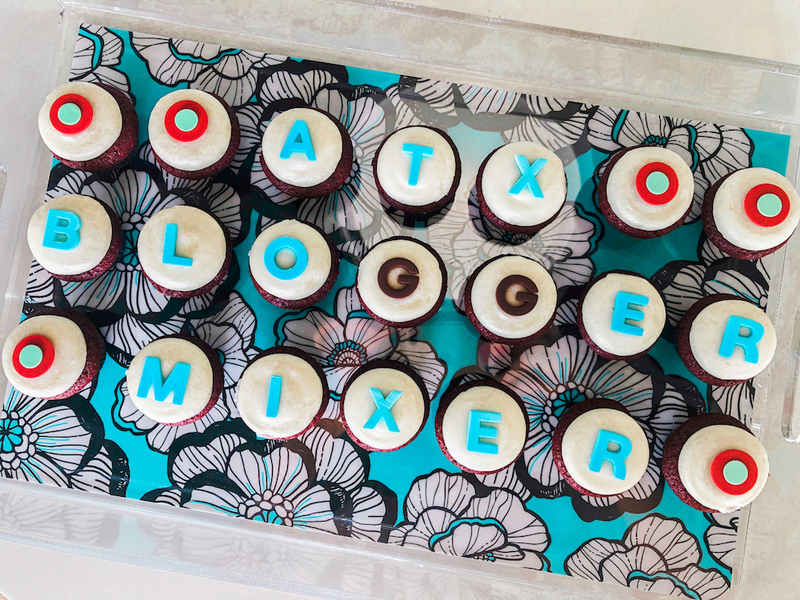 You throw the BEST mixers!